1 or 2 COW BOX units. STURDY and RELIABLE INDUSTRIAL ROBOT ARM. FAST INSTALATION in NEW or EXISTING BUILDINGS. USING PLUG and PLAY UNITS fitted in the FACTORY. HIGH CAPACITY SMART LASER VISION CONTROL. LOW WATER and ENERGY CONSUMPTION. FUTURELINE MAX gives you a COMPLETE MANAGEMENT SYSTEM with TOUCH SCREEN TECHNOLOGY. 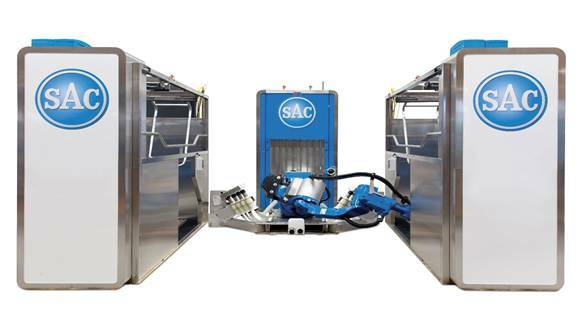 The South West Main Agent for SAC Robotic Milking.